2, More recent Church history: we are all familiar with the decade of commemorations for the events between 1912 and 1922. Is the present economic, political and constitutional crisis in Ireland an historic moment for us, socially, politically or economically? Was the papacy of Pope John Paul II historic? Did Bertie Ahern make an historic contribution to Irish politics? It may be too soon, too judge any of these, it may be too early. I know a Byzantine historian who says that everything that happened before 1453 is history, everything after that is politics and current affairs. What a later generation may describe as historic may not be what we see as momentous now, for it may not be seen as historic by a later generation. ● 2 important dates in history. Because of the conditioning of our family backgrounds and schooling, many of us think history is all about dates and battles, kings and generals. Is there anyone in this room who does not know the significance of these dates: 1014, 1066, 1662, 1690, 1798, 1916, 1927, 1945, 9/11? Is there anybody who does not know the historical significance of Alexander the Great, Julius Caesar, Henry VIII, Napoleon, Nelson, the Duke of Wellington, Padraic Pearse, Wallace Simpson, Churchill, Stalin? We find it more difficult when it comes to counting in memorable moments in history – events such as the death of Socrates, or when it comes to counting among the great figures in history people who gave us ideas (Plato, Aristotle, Socrates, Luther, Marx), or people who wrote great works (Aristophanes, Cervantes, Shakespeare), or were great artists and composers (Rembrandt, Mozart, Picasso). How many of the two people in history you named were drawn from the English-speaking world? Think again of what you said in your small groups. History shapes our memories; and memories shape our sense of history. This is important for how we see ourselves today, as products of our past. And it is important for how our neighbours see us as perpetuating that legacy from the past. Why should we study Church History on course such as this? The simple answer that is usually is that we learn lessons from the past. Woody Allen has asked: Why does history keep on repeating itself? He says it’s because people refuse to listen the first time round. Quite a lot of us refuse to listen not so much to history, but to the presentation of history the first time round, particularly if it is presented in a dull, boring, pedantic and condescending way. And it’s dull and boring if it’s only about dates and battles, kings and generals, a chronology listing merely dates and names, without relevance to the present. No! History is about how we have been shaped and how we are moving into the future. History is about a legacy. And if we fail to learn from the lessons, we cannot own the good and say goodbye to the past. In his book on Church history – Why study the past? 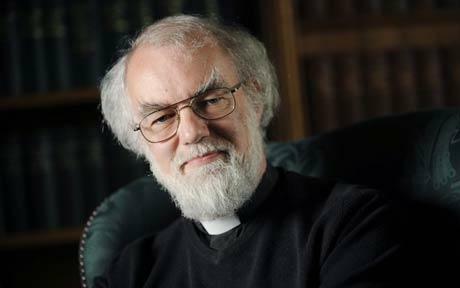 The quest for the historical church – Archbishop Rowan Williams argues cogently that Church History deepens our present thinking and helps us to think with more varied and resourceful analogies about our present problems. The Church depends in many areas on an understanding of its history. And so Church history is used by theologians not just to prove arguments but to clarify what we are as human beings. Is that how you have perceived Church History in the past? Is your understanding of Church History relevant to your understanding of theology? Is your understanding of Church History relevant to today’s Church? Church History needs to be relevant to your faith, to your spirituality, to your worship, to your ecumenical endeavours, to your ministry and to your mission. This afternoon we begin by looking at the period that covers the formation of the Church and the development of our understandings of sacramental life, liturgical life and doctrine, in which we began to formulate in the Creeds, to set out the organisation of the Church, with distinctive roles for bishops, priests and deacons, organised within dioceses. We are in the period of the first exciting missionary expansion of the Church. This is the period that sees the emergence of a radical belief-system for both Jews and Greeks turn into a major religious force. This is a belief system that: challenges the worldview of Jews in the Middle East (the largest Jewish city at the time was Alexandria) and the worldview of the Mediterranean world (largely the Roman Empire, but also largely Greek speaking). So we are looking at the history of Christianity after the life of Christ and the first Apostles. We can debate whether Christianity was founded by Christ, by the twelve, or by Saint Paul. But many of the key founding figures of Christianity never met Christ – they include not only the Apostle Paul but the Gospel writers Saint Luke and Saint Mark. ● The Roman Empire (380). By the Middle Ages, Christianity was the principal religion throughout Europe, and later we shall see how the story of the missionary expansion of Christianity in the early modern era in Asia, Africa and the Americas is intricately tied in the story of European mercantile and colonial expansion, during the Renaissance and in the wake of the great explorations. Throughout its history, Christianity has been shaped by persecutions, schisms and theological disputes that have resulted in many distinct churches. But there is nothing new under the sun, and this was true too of the Early Church immediately after the apostolic period. Early Christianity grew from a first century Jewish development to a religion that spread throughout the Greek-speaking and Imperial Roman world in the Mediterranean basin and beyond. 2, The Post-Apostolic or Patristic period, when an early episcopal structure developed, and when persecution was often intense. This early period of Church history came to an end, as did the Roman persecution of the Church, in AD 313 in the reign of the Emperor Constantine the Great. In 325, he was instrumental in calling the First Council of Nicaea, which was the first of the seven Ecumenical Councils, and Church History then moves into a new phase. The Gospels, the Acts of the Apostles, the Epistles and the Book of Revelation contain the earliest accounts of the beliefs of the first Christians and the Apostolic Church, which we find in early creeds, hymns, sermons and declamations, and the early sufferings of the first Christians, including the martyrdom of Stephen (see Acts 6: 12 to 7: 59) and James the son of Zebedee (Acts 12: 2), and the arrests of Saint Peter (12: 3) and Saint Paul. The Apostolic Church was the community led by the apostles, and perhaps by some of Jesus’ own family members, including James the Brother of the Lord. In the Great Commission, the Risen Christ commands that the Gospel should be brought to “all nations” (Matthew 28: 19), to Jerusalem, “all Judea and Samaria, and the ends of the earth” (Acts 1: 8). Our primary source for the post-Resurrection period is the Acts of the Apostles, which gives us an account of the life of the Apostolic Church, through the great missionary journeys of the Apostle Paul, until his house arrest in Rome. The first Christians were either Jews or proselytes – converts to Judaism. Yet, the Great Commission involves “all nations.” In the early chapters of Acts, the apostles continue to worship in the Temple, and Paul and Barnabas go first to the Jews and then to the Gentiles (see Acts 13; 46, 18: 6). The first early division in the early Church was between the Judean Jews and the Greek-speaking Jews, with the Greek-speakers claiming their widows were discriminated against. 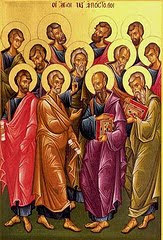 This dispute was solved with the appointment of the first seven deacons (see Acts 6: 1-6). The next difficulty facing the Church was the debate about whether non-Jewish or Gentile converts to Christianity needed to become Jewish, accepting circumcision and the dietary laws so they could become Christians. The Apostle Peter’s vision in Joppa seems to settle the debate about food laws (see Acts 10: 9-16). When Peter baptises the Centurion Cornelius and his household in Caesarea the debate about circumcision seems to have been be settled (see Acts 10: 44-48). While the conflicts continued (see Acts 11: 1-18; 15: 1-5), the arguments seem to have been settled at the Apostolic Council of Jerusalem (see Acts 15: 6-21). But there were still those who continued to argue for the necessity of circumcision. They were labelled Judaisers, and the conflict that continued explains much of the dialectic in the Johannine writings which are so often misinterpreted or misrepresented as being anti-Jewish or anti-Semitic. The Early Church also came into conflict with some Jewish religious authorities, leading eventually to their expulsion from the synagogues as Christianity developed a distinct identity, separate from Rabbinic Judaism. 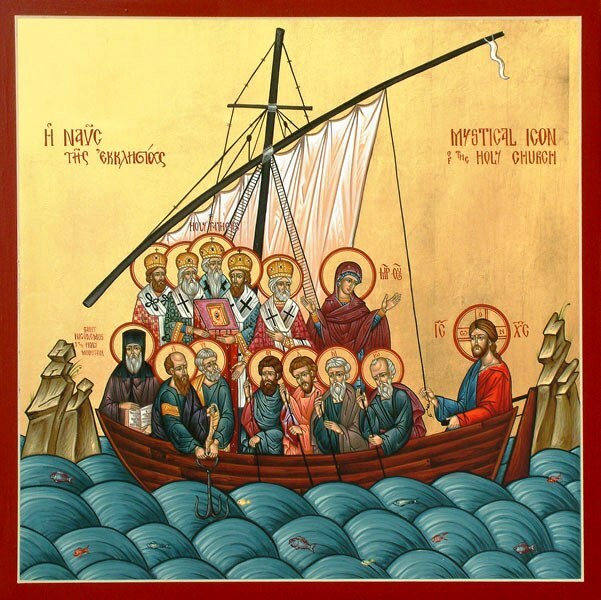 The name Christian (Χριστιανός) is first given to the disciples in Antioch: χρηματίσαι τε πρώτως ἐν Ἀντιοχείᾳ τοὺς μαθητὰς Χριστιανούς … “and it was in Antioch that the disciples were first called “Christians” (Acts 11: 26). The word Christian may have been first used as a term of reproach, a derogatory term, or to mock those who followed the teachings of Christ. Some of the important leaders of the Post-Apostolic Church include Polycarp of Smyrna, Clement of Rome and Irenaeus of Lyons. These leaders were said to have known and studied under the apostles personally, and so they are known as the Apostolic Fathers. The post-apostolic period concerns the time after the death of the Apostles (say, around the year 100 AD. This period continues until the persecutions come to an end with the legalisation of Christian worship under Constantine the Great. Larger-scale persecutions of the Early Church begin in the year 64, when the Emperor Nero blamed the Christians for the Great Fire of Rome that year. Although not recorded in the New Testament, Church tradition says that it was under Nero that both Saint Peter and Saint Paul were martyred in Rome. For 250 years Christians suffered from sporadic and at times intense persecutions for their refusal to worship the Emperor, and were executed for a refusal seen as stubborn treason. Yet, despite these persecutions, Christianity religion continued to spread throughout the Mediterranean region. So, we might ask, from a disengaged pint of view why did Christianity succeed. Indeed, why did Christianity even survive? There is no agreement among historians when it comes to these questions. For some Christians, this success is simply a natural consequence of the truth of the Christianity and fulfilled through the providence of God. Yet, as Christians, we would not accept such claims for the initial successful spread of either Buddhism or Islam. So these are questions that we have to address in Church History. ● Christianity offered an improve lifestyle or way of life. ● Christianity offered an attractive combination of the promise of a general resurrection of the dead with the then popular Geek belief that true immortality depends on the survival of the body, with Christianity providing a practical explanations of how this could happen. ● The promise of future life, which held out hope no matter how bad or good present circumstances were. ● The use of koine Greek, the common language of the Mediterranean basin for trade and administration made the New Testament and other early Christian writings accessible to a wide pubic. ● The reports of miraculous powers exercised or experienced within the primitive church. ● The apparently pure morals of these early Christians. ● The sense of belonging akin to family kinship within an increasingly self-sustaining and self-governing society. ● Easy transport and communications systems across great distances along the shorelines of the Mediterranean. 1, The επίσκοπος (epískopos), plural ἐπίσκοποι (epískopoi), literally the overseer, by which we now mean the bishop. 2, The πρεσβύτερος (presbyteros), plural πρεσβύτεροι (presbyteroi), the elder(s) or priest(s). 3, The διάκονος (diakonos), plural διάκονοι (diákonoi), the deacon or deacons. This structure emerged slowly and at different times in different places. In the Acts of the Apostles we see a collegiate system of government in Jerusalem though headed by James, traditionally regarded the first bishop of the city (see Acts 11: 30, Acts 15: 22). In Acts also, Saint Paul ordains presbyters in the churches he founds (see Acts 14: 23). In his letters to Timothy and Titus, we can see a more clearly defined episcopate, and we are told Paul had left Timothy in Ephesus and Titus in Crete to oversee the local church (see I Timothy 1: 3; Titus 1: 5). Saint Paul commands them to ordain presbyters or bishops and to exercise general oversight, telling Titus to “rebuke with all authority” (see Titus 2: 15). The term presbyter is often not yet clearly distinguished from the term overseer or bishop (see Acts 20: 17; Titus 1: 5, 7; I Peter 5: 1). The earliest writings of the Apostolic Fathers, including the Didache and the First Epistle of Clement, indicate the Church may have used two terms for local church offices: presbyters, which was an interchangeable term with episkopos or overseer; and deacon. Clement, a 1st century bishop of Rome, in his Epistle to the Corinthians, refers to the leaders of the Church in Corinth as bishops and presbyters, but uses the term interchangeably. ● “It is clear that we must regard a bishop as the Lord Himself” – Epistle to the Ephesians 6: 1. ● “Let the bishop preside in the place of God and his clergy in the place of the Apostolic conclave, and let my special friends the deacons be entrusted with the service of Jesus Christ” – Epistle to the Magnesians 6: 1. ● “You must never act independently of your bishop and clergy.” – Epistle to the Magnesians 7:1. ● “Be as submissive to the bishop and to one another as Jesus Christ was to His Father, and as the Apostles were to Christ and the Father; so that there may be complete unity, in the flesh as well as in the spirit.” – Epistle to the Magnesians 13: 2. 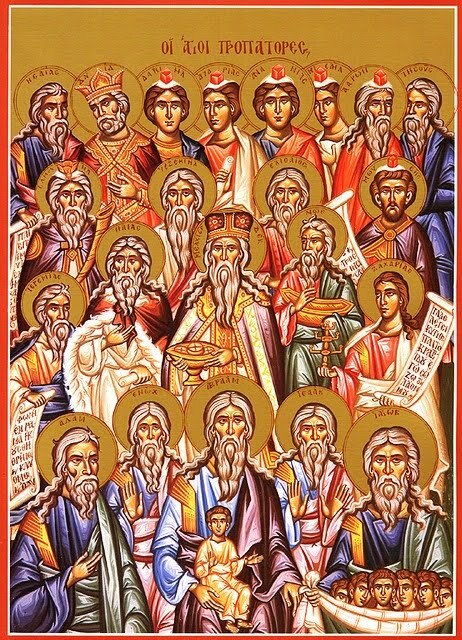 ● “Equally, it is for the rest of you to hold the deacons in as great respect as Jesus Christ; just as you should also look on the bishop as a type of the Father, and the clergy as the Apostolic circle forming his council; for without these three orders no church has any right to the name.” – Epistle to the Trallians 3: 1. ● “Follow your bishop, every one of you, as obediently as Jesus Christ followed the Father … The sole Eucharist you should consider valid is the one that is celebrated by the bishop himself, or by some person authorised by him. Where the bishop is to be seen, there let all his people be.” – Epistle to the Smyrnaeans 8:1. ● “A man who honours the bishop is himself honoured by God, but to go behind the bishop’s back is to be a servant of the devil” – Epistle to the Smyrnaeans 9:1. [Quotations from William Stanford and Andrew Louth, Early Christian Writings, The Apostolic Fathers (London: Penguin, 1987 ed)]. It is clear that by the time of Saint Ignatius a single bishop was expected to lead the Church in each centre of Christian mission, supported by a council of presbyters and a group of deacons. As the Church continued to expand, new churches in important cities were provided with their own bishop. Presbyters and deacons were sent out by the bishop of a city church. In time, the bishop changed from being the leader of a single church in one urban area to being the leader of the churches in a given geographical area. At the end of the 2nd century, Clement of Alexandria writes about the ordination of a bishop, using the words bishop and ordination in their technical meaning. By the 2nd century, bishops are defined also as the only clergy entrusted with ordination to the priesthood or presbyterate and the diaconate. At the beginning of the 3rd century, Hippolytus of Rome describes the ministry of the bishop as that of the Spiritum primatus sacerdotii habere potestatem dimittere peccata, the spiritual primacy of sacrificial priesthood and the power to forgive sins. The ministry of the deacons included tending to the poor and sick. In the 2nd century, the episcopal structure is also given the support of claims to apostolic succession, first articulated by Ignatius of Antioch, in which a bishop becomes the spiritual successor of the previous bishop in a line that is traced back, step-by-step, to the apostles themselves. Apologetic writings seek to defend the faith by using reason to refute arguments against Christian beliefs and teachings. Christian art emerges relatively late, with the first known Christian images emerging ca 200 AD. The oldest Christian works of art are not icons but paintings from the Roman Catacombs, dated ca 200 AD, and the oldest Christian sculptures are from sarcophagi, from the early 3rd century. We may look at this later when we look at the debates ant icons. The correct interpretation of the faith has been a major concern for Christianity from the beginning. One of the main responsibilities of bishops in the early Church was to guard correct beliefs and to refute heresies, so that defining orthodoxy becomes a major issue in the history of the Church in the first four or five centuries, and even after that. The earliest doctrinal controversies are often Christological. In other words, they were about Christ, his divinity and his humanity. ● Docetism, which emerges at the turn of the second and third centuries, held that Christ’s humanity was merely an illusion, thus denying the incarnation, or that God became fully human. ● In the middle of the second century, Marcion held that Christ was the Saviour sent by God, and Saint Paul was his chief apostle. But he rejected the Hebrew Bible and the God of Israel. His followers, the Marcionites, believed that the wrathful Hebrew God was a separate and lower entity than the all-forgiving God of the New Testament. ● These beliefs had some similarities with Gnostic heresies, in that both were dualistic. ● Dualistic groups maintained that reality was composed of two radically opposing parts: matter, seen as evil, and spirit, seen as good. ● Arius (250/256-336) of Alexandria and Arianism held that Christ, while not merely mortal, was not eternally divine and was, therefore, of lesser status than God the Father. What would emerge was a clear Trinitarian understanding of God as Father, Son and Holy Spirit, one being with three hypostases or persons. This would be defined in the Nicene Creed, and we shall look at this development at a later stage. A copy of the King James Version of the Bible, dating from 1611, in Lambeth Palace … how did the Early Church decide on the contents of the New Testament? The period that we are looking at this afternoon also sees the emergence of an agreement among Christians about what is and what is not part of the Bible. The Early Church saw the Bible as used the Old Testament found in the Greek translation of the Bible we know as the Septuagint (LXX), and the New Testament developed over a period of time. The writings attributed to the apostles circulated amongst the earliest Christian communities. The Letters of Saint Paul were circulating in collected forms by the end of the 1st century. In the early 2nd century, Justin Martyr mentions the “memoirs of the apostles” or the Gospels. By around the year 160, Saint Irenaeus is referring to four gospels. 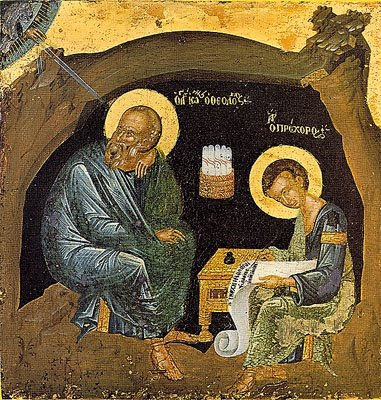 By the early 3rd century, Origen of Alexandria may have been using the same 27 books as we now accept in the canon of the New Testament, although there disputes still arose and debates still continued over the canonicity of some books, including Hebrews, James, II Peter, II and III John, and the Book of Revelation. Most of what is now the New Testament was universally acknowledged from the middle of the 2nd century or earlier. The Muratorian fragment shows that a set of writings similar to the New Testament was recognised by the year 200. In his Easter letter in 367, Athanasius of Alexandria gives the earliest known and exact list of the books in the New Testament. The Synod of Hippo in North Africa in 393, approved the New Testament as we have it today, along with the Old Testament book in the Septuagint. These decisions were repeated in 397 and 419 at the Councils of Carthage, which were under the authority of Saint Augustine, who regarded the canon as closed. The commissioning of the Latin Vulgate edition of the Bible ca 383 was instrumental in fixing the Biblical canon in the West, and in the year 405 Pope Innocent I set a list of the sacred books. But these bishops and councils never claimed to be defining something new. Instead, they said they “were ratifying what had already become the mind of the Church.” And so, we find unanimity on the canon of the New Testament in the West by the 4th century and in the East by the 5th century. Galerius who had once been one of the leading figures in persecution of Christianity, issued an edict in 311 that brought to an end the Diocletian persecution of the Church. Galerius reigned for another two years, and was then succeeded by Constantine the Great, an emperor with distinctively pro-Christian sympathies. Constantine had first come into contact with Christianity through his mother, the Empress Helena. Ahead of the Battle of the Milvian Bridge in 312, he commanded his troops to adorn their shields with the Cross following a vision he had the night before. The battle was decisive, and after his victory Constantine become the Emperor of the West. The accession of Constantine was a turning point for the Church, marking the end of persecution and the beginning of Christendom. After his victory, Constantine supported the Church financially, built basilicas, granted privileges to the clergy, such as exemption from certain taxes, promoted some Christians to high office, and returned property confiscated during the reign of Diocletian. Between 324 and 330, Constantine built a new imperial capital at Constantinople, which had churches within the city walls but no pagan temples. Constantine also played an active role in the leadership of the Church. In 316, he acted as a judge in a North African dispute concerning the Donatist controversy. Then, in 325 he called the first Ecumenical Council, the Council of Nicaea, to deal primarily with the Arian heresy. 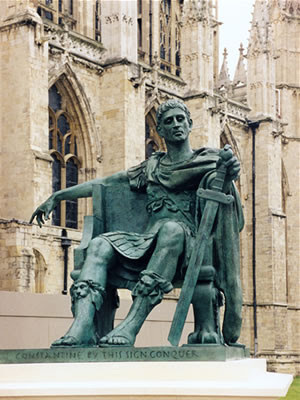 In calling the council, Constantine established a precedent for regarding the emperors as responsible to God for the spiritual health of their subjects, and having a duty to maintain orthodoxy. The emperor was to enforce doctrine, root out heresy, and uphold the unity of the Church. Finally, Constantine was baptised on his deathbed. Constantine’s eventual successor, Julian the Apostate, was on becoming emperor renounced Christianity and embraced Neo-Platonism. He began reopening pagan temples, and modified old pagan beliefs so that they resembled Christianity traditions, with an episcopal structure and public charity. But his death brought to an end the last imperial threat to Christianity. Constantius II (337-361) and Valens (364-378) had personally favoured Arian or Semi-Arian forms of Christianity, but Valens’s successor, the Emperor Theodosius I, supported the Trinitarian doctrine set out in the Nicene Creed. On 27 February 380, the Edict of Thessaloniki, issued in the name of Theodosius I, officially adopted Christianity as the state religion of the Empire. The Church quickly adopted the same organisational boundaries as the Empire, so that geographical provinces, called dioceses, corresponded to imperial territorial divisions. The bishops, who were located in major urban centres, oversaw each diocese. The prestige of these sees was strengthened by claims to apostolic foundation. The Bishop of Rome claimed to be the Primus inter Pares or “the first among equals.” The Patriarch of Constantinople claimed precedence as the bishop of the new capital of the empire, the New Rome. Part 2, The Councils of the Church and the shaping of the Creeds. We have looked at the development of the Church from the Apostolic period to the reign of Constantine and the toleration that was ushered in for Christians throughout the Empire as the fourth century unfolded. In the light of that summarisation by Lancelot Andrewes, I now want us to turn to what is meant by the three creeds and the four general councils, all of which are part of the story of the Church in those five centuries that Andrewes refers to. The ecumenical creeds as we understand them within the Anglican tradition are three in number: the Apostles’ Creed, the Nicene Creed and the Athanasian Creed. These three Creeds have long been accepted as an integral part of Anglicanism. For example, Article 8 of the 39 Articles states: “The Three Creeds, Nicene Creed, Athanasius’ Creed, and that which is commonly called the Apostles’ Creed, ought thoroughly to be received and believed: for they may be proved by most certain warrants of holy Scripture” (The Book of Common Prayer 2004, p. 780). The common focus in Anglican theology is based on an appeal to scripture, tradition, and reason. But this was expanded in that dictum by Lancelot Andrewes. and in the first five centuries of the history of the Church, and the corpus of Patristic writings. Apart from these three creeds, however, as part of the liturgical revisions of recent years, a corpus of common texts has arisen, giving us a collection of interlocutory creedal formulas used at baptism (see The Book of Common Prayer 2004, p. 365, for an interlocutory adaptation of the Apostles’ Creed), in Services of the Word (The Book of Common Prayer, p. 165), in services for the Renewal of Baptismal Vows (The Book of Common Prayer, pp 399-400), in other settings (see New Patterns of Worship, pp 163-166), and often with ecumenical application. In recent years, other creedal statements have made ecumenical contributions and had ecumenical impact. These include, for example, the Barmen Declaration, drawn up by Confessing Christians in Germany in opposition to the claims of the Nazis in the early 1930s, and the Kairos Declaration, published in South Africa at the height of resistance to apartheid. ● How relevant are these Creeds for today? ● What we would put in or keep out if we were asked to join the first committees set the tasks of writing the Creeds? ● What are the reasons for some people objecting to the creeds? ● What about some modern expressions of our faith in parallel creeds? The Apostles’ Creed is used by Anglicans traditionally in Morning Prayer and Evening Prayer, and for most Anglicans this is the Creed first memorised, as part of the preparation for Confirmation. Although we call it one of the “ecumenical” creeds, it is only used in the Western Church and it is not found in the Eastern or Orthodox Churches. The Twelve Apostles ... but did they write the Apostles’ Creed? This creed is first referred to as the Apostles’ Creed in a letter written by Saint Ambrose ca 390. By that time, there was a legend that it was written by the 12 Apostles, each writing a separate clause or phrase. It was first used as a baptismal creed in the West, and was introduced into the daily offices some time between the eighth and ninth century. Although we know the creed used at the Holy Communion or the Eucharist as the Nicene Creed, this is not what it actually is. The Creed, which was approved at the Council of Nicaea in 325, was drawn up to defend the orthodox faith against Arianism, and includes the term homoousion (consubstantial, of one substance with) to express the relationship of the Father and the Son in the Godhead. 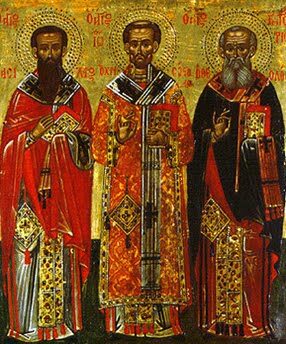 Four anti-Arian anathemas were appended to the original Nicene Creed and came to be regarded as an integral part of the text. But what we know and use as the Nicene Creed is a longer formula, used in the Eucharist in both the East and West. This is more accurately known as the “Niceno-Contstantinopolitan Creed.” It is said to have been adapted at the Council of Constantinople in the year 381, although it may have been endorsed rather than drafted at that council, using the baptismal creed then in use in the Byzantine capital. From the time of the Council of Chalcedon in the year 451, this Creed has been the defining creed of the church. The third of the so-called ecumenical creeds – the so-called Athanasian Creed or Quicunque Vult – is still included in The Book of Common Prayer of the Church of Ireland (see pp 771-773) but has been omitted, for example, from Common Worship and New Patterns for Worship. This creedal statement was traditionally ascribed to Saint Athanasius (ca 296-373), who succeeded Alexander as Patriarch of Alexandria. But it is a Western document, probably written around the year 428, and is used only in Western Christianity. It sets out the doctrines of the Trinity and the Incarnation, adding a list of the most important events in Christ’s life. It also includes anathemas against those who do not subscribe to its creedal statements and definitions. Saint Athanasius … but did he write the Athanasian Creed? How do we know it was not written by Saint Athanasius? It contains a number of doctrinal expressions that arose as a consequence of debates long after the time Saint Athansius, who died in Alexandria in 373. And its statements on the procession of the Holy Spirit from both the Father and the Son could not be accepted in any Orthodox tradition. The Book of Common Prayer includes the Athanasian Creed (see pp 771-773), after the Catechism of 1878 and before the Preamble and the 39 Articles. But there are no rubrics about when and how it should be used. Can you imagine situations or occasions on which you would use it? Can you ever remember it being used? And so, although we call three creeds “ecumenical,” in reality there is only one ecumenical creed, the Nicene Creed. The Creeds help us to approach the essential importance of what we believe, as Christians, and why. They have served this purpose for most of us throughout our experience of worship, perhaps since early childhood. They are an expression of the faith of the Church, not of the individual Christian. The Vatican wants to return to using the words “I believe …” at the opening of the Creeds. The Nicene Creed as used in in Holy Communion I in The Book of Common Prayer 2004 opens: “I believe …” (The Book of Common Prayer, p. 182). The Apostles’ Creed in Morning Prayer I and II and Evening Prayer I and II is also expressed as an individual statement of faith: “I believe …” (pp 95 and 112). But in the modern versions, the Nicene Creeds opens with the words: “We believe …” (p. 205). In New Patterns of Worship you can find four ways in which the Creeds can be used disastrously, creatively, in a matter-of-fact mundane sort of way in worship, or to give life and meaning to worship and the liturgy in parish settings (New Patterns of Worship, pp 158-159). The Apostles’ Creed and the Nicene Creed are best spoken in communion with other Christians, and are only best understood within the context of an act of worship. At first glance they do not appear to be prayers. Who are they addressed to? If we think of them as canticles, like Gloria or Magnificat, we can find ourselves using them in worship in new and surprising ways. Despite their primary place in worship, the Creeds are a mystical statement of our faith, and of course we can meditate on them, in the same way as we can meditate on a piece of spiritual writing, prayers from our favourite prayer books, psalms, canticles or readings from Scripture. By meditating on them, phrase-by-phrase, we can bridge the historical and the contemporary, the popular and the ecclesial, the objective and the subjective. In an exercise like that, we can bring together our catholic heritage (objective creed) with an evangelical response (its personal and communal meaning). How relevant are the creeds today? We all know how church reports are produced. If you were asked to join a committee drafting the Apostles’ Creed or the Nicene Creed, what phrases or sayings would you keep in? What would you say is importance to a relevant and contemporary expression of the Christian faith today that has been omitted from the two Creeds most used in the Church of Ireland today? This exercise is best done in small groups where we can look at the two Creeds, and compare and contrast them. ● three things you would want to include that are not there now. ● Some are suspicious of authority, and want to come to truth-claims in individualistic ways. ● Others are not yet prepared to make professions of faith, and have intellectual questions about issues arising from the creeds. ● Some individuals and congregations find the creeds to be irrelevant to daily life, and see little need for them in worship. I’m sure some of us are aware of a handful of parishes that can go Sunday-after-Sunday without using the Lord’s Prayer and the Apostles’ Creed, and the Nicene Creed. How do we help people discover the connections between a profession of faith during Sunday worship in the parish, their intellectual struggle with issues that are in the Creeds or not in the Creeds, and their daily lives, the decisions, dilemmas and action they face each day? God as “Father” prompts questions about sexism. God as “maker of heaven and earth” leads to reflections on faith and science. How does this relate to the Dawkins debate? That Jesus “suffered” surely relates to the sufferings of his followers too. How do we understand the suffering of Christ and the problems surrounding suffering in the world today? Why does God allow suffering? This is the problem we know in theology as theodicy. His descent into hell forces questions about the impossibility of a godless world. There is a debate at the moment between Roman Catholic theologians about the descent into hell. ● Are there reaches in the depths of hell that Christ cannot descend to? ● If so, are there parts of me, or some people, that are beyond redemption? ● If so, then how can Christ be God incarnate if all things are not possible for him? ● If not, then what do we mean about salvation and redemption? ● Are there dangers of slipping into universalism? ● And why do we see them as dangers? To believe in the Holy Spirit is to acknowledge the necessity of change in the individual and new creation in the community. Where does the Holy Spirit dwell today? That the creed is completed with an affirmation of hope – “the life everlasting” – is surely a cause for gratitude and praise. Our ancestors in the faith stood to say these words, they reflected on them, and they put them into practice. To claim this life, summarised in the Creeds, is to say yes to the riches of a glorious heritage from the past and also to the present life that is given to us, as well as to the future. Have you thought of life everlasting from that perspective? 1, The filioque: this phrase was introduced into the Nicene Creed in the early Middle Ages in a series of unilateral decisions in the Western Church. The words “and from the Son,” are a Western addition to the Creed as it was originally agreed on by a Council representing the whole Church, East and West. They correspond to the Latin word filioque (fili = Son, -o = from, -que = and), and the controversy about them is accordingly known as the Filioque controversy. If we are looking for a statement that can be taken as common ground by all Christians, East and West alike, it clearly cannot include the filioque. On the other hand, Western Christians will be unwilling to have it supposed that they are repudiating the statement that the Spirit proceeds jointly from Father and Son. Some would suggest that we print the Creed with the filioque either in brackets or omitted altogether, but with the understanding that, while assenting to the resulting statement does not commit anyone to belief in the Dual Procession of the Spirit, neither does it commit anyone to disbelief in the Dual Procession. 2, Sola Scriptura: those who hold to this principle, argue that the Bible is the only rule of faith, and nothing else should be imposed on believers. But in response, it could also be said that Arians and Jehovah’s Witnesses, for example, would also agree with this principle. How do we protect and ring-fence what we regard as essential doctrines or beliefs found in Scripture? 3, Freedom of conscience: Some fear that any required confession of faith might usurp “a tyrannical power over the conscience.” But once again, what are the limits to the Christian faith beyond which a group or church loses its place within the mainstream Church? Are Non-Subscribing Presbyterians part of the Christian Church? What about Quakers? What about claims by Jehovah’s Witnesses and Mormons to be Christians? Who decides, and what tools or aids help us to decide within an ecumenical context? 4, Creedalism: There are those who argue that “Creedalism” leads to nominal Christianity. They would say that a mental assent to the doctrines of the Creed has often served as a substitute for true conversion and has led to dead orthodoxy. But to even use a term like “dead orthodoxy” demands some definition of orthodoxy. 5, Limiting the bounds of knowledge: Some argue that the use of confessions or creeds could give a false confidence that the truth in Scripture is exhausted by that confession or creed and thus true growth in the knowledge of the Scriptures becomes difficult. They say there is a danger that someone could feel that knowledge of the confession is enough and will consequently isolate himself from the dynamic of the living Word of God. 6, Restricting inquiry: Still others might say a creed can be used to repress genuine searching, to give artificial answers to questions, and to threaten those who are in a stage of inquiry and so tyrannise the tender consciences of believers. 7, What they leave out: If, as the Reformers said, the Church is where the Word of God is preached and the Sacraments are duly ministered (see Article 19, for example), where are these referred to in the Creeds? Apart from one passing reference to one baptism in the Nicene Creed, there is no other reference in the creeds to Baptism, the Eucharist, preaching or the mission of the Church; and there are no references to the implications of faith for discipleship, daily life and ethics ... there are no references to morality, sexuality, family life, slavery, sexism, business ethics, personal behaviour, because they are about Orthodoxy and not about Orthopraxis. and they that have done evil into everlasting fire. Like most doctrinal statements, however, the Nicene Creed was not written in one sitting, nor was it written in a vacuum. This creed was developed, worded, phrased and edited at the Ecumenical Councils of Nicaea (325), Constantinople (381), Ephesus (431) and Chalcedon (451), and the version we have in The Book of Common Prayer (2004) is not the only and only, definitive, ecumenical version. A popular way of expressing this belief for those who agreed with Arius was: “There was a time when he [The Son] was not.” Arius taught that the Father, in the beginning, created (or begot) the Son, who then, with the Father, created the world. For Arius, then, Christ was a created being; his “god-ness” was removed. Alexander, the Patriarch of Alexandria, summoned Arius for questioning, and Arius was subsequently excommunicated by a council of Egyptian bishops. In exile in Nicomedia, Arius wrote in defence of his beliefs. His following and influence grew to the point that the Emperor Constantine called a council of bishops in Nicaea (Νίκαια, present day İznik), where the first draft of what we now call the Nicene Creed was promulgated by a decided majority as a creedal statement of faith – and a firm rejection of Arius’ teaching that Christ was the “begotten” son of an “unbegotten” Father. 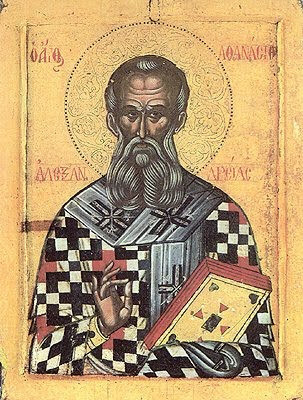 The principal argument for the full deity of Christ was made by Athanasius, a deacon in Alexandria who later succeeded Alexander as Patriarch. The Creed the bishops assented to in 325 is, for the most part, contained in the Nicene Creed as it appears in the Book of Common Prayer 2004, beginning with “We believe in one God . . .” and ending immediately after “in the Holy Spirit” (The Book of Common Prayer, p. 205). The purpose was clear: to refute the teachings of Arius and to affirm the orthodox doctrine of One God in Three Persons with specific attention to the Christology of the Son. However, the Council of Nicaea did not end the Arian controversy. By 327, the Emperor Constantine had begun to regret the decisions of 325. He granted an amnesty to the Arian leaders and sent into exile Athanasius, by now Patriarch of Alexandria, who continued to defend Nicene Christianity. An additional heretical teaching by Macedonius – who was twice Bishop of Constantinople (342-346, 351-360) – denied the divinity of the Holy Spirit. The followers of Macedonius were referred to as pneumatomachians or “fighters of the spirit.” These pneumatomachians also believed that God the Son was a similar essence of substance as the Father, but not the same substance. Macedonianism taught that the Holy Spirit was not a person – or hypostasis – but merely a power of God. The Spirit, then, was inferior to the Father and the Son. Yet another group, led by Bishop Apollinarius who opposed the teaching of Arius, argued that Jesus did not have a human soul and was not fully human. In 381, the Emperor Flavius Theodosius convoked the First Council of Constantinople, the second meeting of bishops (also known as the Second Ecumenical Council). Among the influential theologians at the time were Saint Gregory of Nazianzus, Patriarch of Constantinople, who presided at the Second Ecumenical Council, and Saint Gregory of Nyssa, two of the Cappadocian Fathers – the third being Saint Basil the Great. At that council, the bishops reaffirmed and expanded the Nicene Creed of 325 to address further questions about Christ’s divinity and humanity. They added five articles to the Creed concerning the Holy Spirit: the Lord, the giver of life; who proceeds from the Father (see John 15: 26): who is worshiped and glorified with the Father and the Son; and who has spoken through the prophets. This expanded and modified Creed became the definitive document on the doctrine of the Trinity: one God in three persons or hypostases. Although more Councils and heresies followed, the Creed was essentially codified in 381 and received in 431 when the Council convened to discuss the Nestorian controversy. Pope Leo III forbade the addition of the filioque clause (the words “and the Son”) and ordered the original Nicene Creed to be engraved on silver plates so that his conclusion would not be overturned in the future. The filioque clause was one of the causes that eventually contributed to the Great Schism between East and West in 1054. The phrase “and the Son” still appears in the 2004 Book of Common Prayer, although a resolution of the 1988 Lambeth Conference called for its removal. The Emperor Theodosius II called the Third Ecumenical Council at Ephesus in 431 to address the Nestorian controversy. Saint Cyril of Alexandria was a central figure in the Third Ecumenical Council as its spokesperson and president. Nestorius, who was Patriarch of Constantinople, objected to the popular practice of calling the Virgin Mary the “Mother of God” or Theotokos. Nestorius taught that the Virgin Mary gave birth to a man, Jesus Christ, not God the Logos. Nestorianism taught the Logos only dwelt in Christ, whose physical body provided a kind of temple for the Logos. Nestorius promoted the term Christotokos for Mary: the Mother of Christ. Having summoned Nestorius three times to no avail, the Council condemned his teaching as erroneous and stripped him of his bishopric. The council declared Christ to be both a complete man and a complete God, and upheld the Virgin Mary as Theotokos because she gave birth not just to a man. The Council declared the text of the Creed, in its present form of 325 and 381, as complete and forbade any changes. 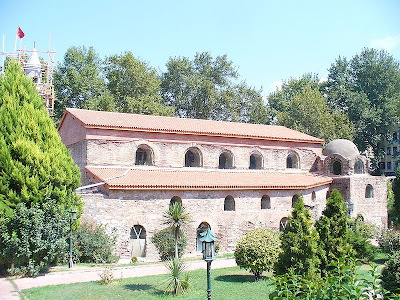 Flavius Marcianus, Emperor of the Eastern Roman or Byzantine Empire (450-457), called the Fourth Ecumenical Council at Chalcedon (Χαλκηδών, present-day Kadıköy), across the Bosporus from Constantinople and now a suburb on the Anatolian side of Istanbul. Once again, this council was concerned with the nature of Jesus Christ. Monophysitism, from the Greek mono (one or alone) and physis (nature) argued the Christological position that Christ had only one nature, which was Divine. While Christ was human, they believed, his less-perfect human nature was dissolved into his more perfect divine nature. The council condemned Monophysitism and reaffirmed that Christ has two and complete natures as defined by previous councils. These two natures, the Council argued, operate harmoniously and without confusion. They are not divided or separate, as the Nestorians argued; nor did they undergo any change, as the Monophysites contended. The Council gave a clear and full statement of orthodox Christology in a document defining the union of the divine and human natures of Christ. This document, which concentrates specifically on the nature of Christ, reflects a very clear, final statement on the orthodox theology that Christ is at once man and God. The 1888 Chicago-Lambeth Quadrilateral does not list the Chalcedonian Creed among the fundament doctrines for Communion based on scriptures, creeds, sacraments and the historic episcopate. The Chalcedonian Creed does not appear to contain any doctrine concerning the Holy Spirit, nor does it use the word Trinity. This is a single paragraph lifted from a larger document that speaks about the decisions reached at Nicea in 325 by the “318 Fathers” in attendance and at Constantinople in 381 by the “150 Fathers” in attendance. The first Councils of Nicaea (325) and Constantinople (381) condemned Arius and Arian teachings as heresy and agreed on what we call the Nicene Creed. The Council of Ephesus (431) condemned Nestorianism and agreed that Mary is the Θεοτόκος (Theotokos), the “God-bearer” or “Mother of God”. The Council of Chalcedon (451) affirmed that Christ has two natures, he is fully God and he is fully human, distinct yet always in perfect union. Thus, it condemned Monophysitism and would be influential in refuting Monothelitism. Church History 2 (Readers, 2015-2017): Early Christianity in Ireland. David L Edwards, Christianity, the first Two Thousand Years (London: Cassell, 1997). Diarmuid MacCulloch, A History of Christianity (London: Penguin, 2010). John McManners (ed), The Oxford Illustrated History of Christianity (Oxford: Oxford University Press, 1990). Alan Acheson, A History of the Church of Ireland (Dublin: Columba, 2nd ed, 2003). JR Bartlett, SD Kinsella (eds), Two Thousand Years of Christianity in Ireland (Dublin: Columba, 2006). Brendan Bradshaw, Dáire Keogh (eds), Christianity in Ireland, Revisiting the Story (Dublin: Columba, 2002). Kevin Ward, A History of Global Anglicanism (Cambridge: Cambridge University Press, 2006). The Book of Common Prayer, the Church of Ireland, 2004. Alison, CF, The Cruelty of Heresy (London: SPCK, 1994). Ayers, Lewis, Nicaea and its Legacy (Oxford: OUP, 2004). Bettenson, H., and Maunder, C. (eds), Documents of the Christian Church (Oxford, OUP, 3rd ed, 1999). Challenge to the Church: The Kairos Document (London: Catholic Institute for International Affairs and British Council of Churches, 1985/1989). Geitz, ER, Gender and the Nicene Creed (New York: Church Publishing, 1995). Gregorios, Paulos, Lazareth, WH, and Nissiotis, NA (eds), Does Chalcedon divide or unite? (Geneva: World Council of Churches, 1981). Micks, MH, Loving the Questions: an exploration of the Nicene Creed (New York: Seabury, 2005). New Patterns for Worship (London: Church House Publishing, 2002). The Road to Damascus: Kairos and Conversion (London: Catholic Institute for International Affairs and British Council of Churches, 1989). Stevenson, J, and Frend, WHC, Creeds, Council and Controversies (London: SPCK, revised ed, 1989). Young, Frances, The Making of the Creeds (London: SCM Press, 1991/ 2002). (Revd Canon Professor) Patrick Comerford is Lecturer in Anglicanism, Liturgy and Church History, the Church of Ireland Theological Institute, and an Adjunct Assistant Professor, Trinity College Dublin. This essay is based on notes prepared for a lecture on the Readers’ course on Saturday 6 June 2015.